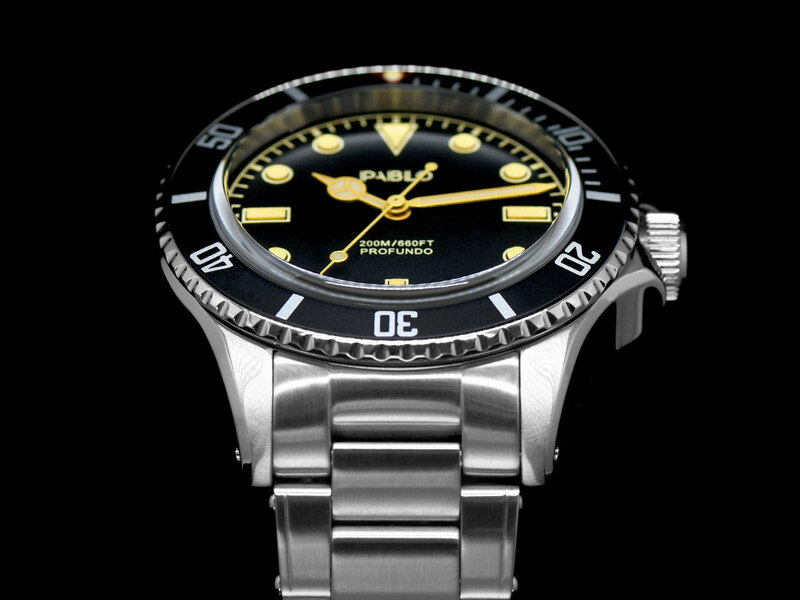 Introducing the new Pablo Profundo VB-1, the debut timepiece from Pablo Watches and a model that is available exclusively form Gnomon Watches. 1950s was an era when dive watch design was at its height with the birth of classic, iconic forms that are still followed closely, today. Buying a mint condition, 50s or 60s icon from the likes of Rolex, Blancpain or Omega doesn’t come cheap, nor does buying one of their modern-day offerings. 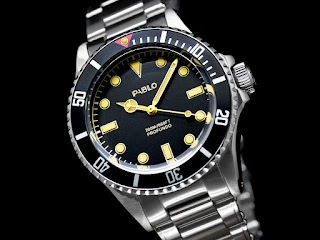 Which is why the sector that deals with affordable Swiss made vintage inspired dive watches is absolutely thriving. Look at the sheer volume of crowdfunded watches that hit the market it the last few years alone, it truly is buyer’s market. 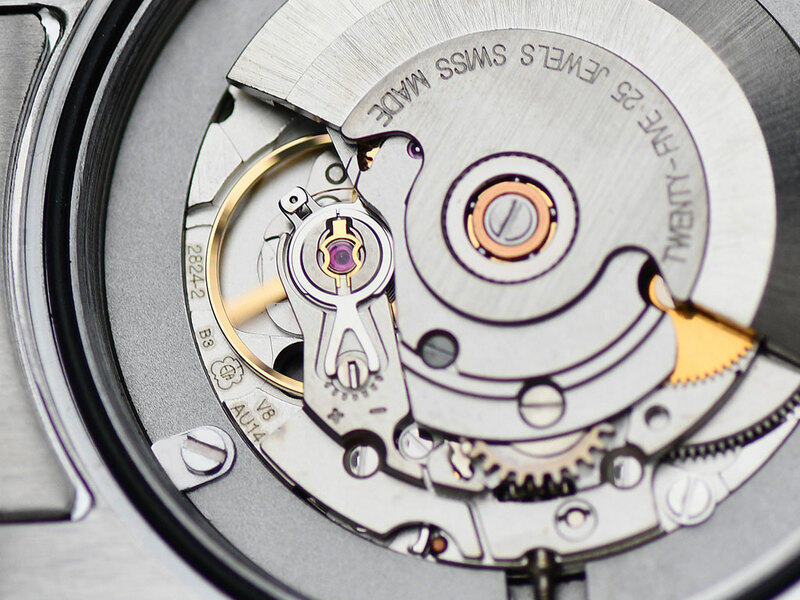 However, one of the drawbacks of buying from such projects is that we must wait for the projects to come to fruition before we can get our latest fix on our wrists. 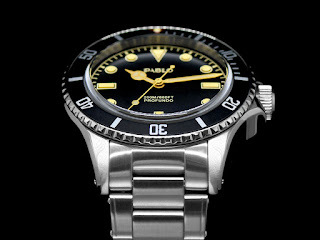 So here’s another brand-new project, from a new brand – only this time the watches are already available and they are being handled by non-other than Gonomon. 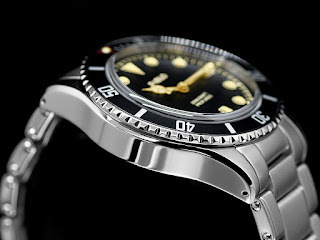 Limited Edition of 200pcs, the Profundo VB-1 has been primarily designed as a professional tool watch side, but in classic style that was made famous by Rolex. 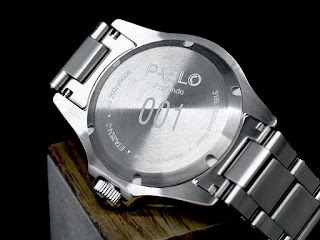 It boasts a solid 316L Stainless steel case, measuring 40mm wide and 49mm from lug to lug. It has combination of hand satin-brushed on the top surfaces, and high-polishing on the sides. and of course to the 6.5mm in diameter screw-down crown, nicknamed, “Big Crown” by fans of watches of 60s era. 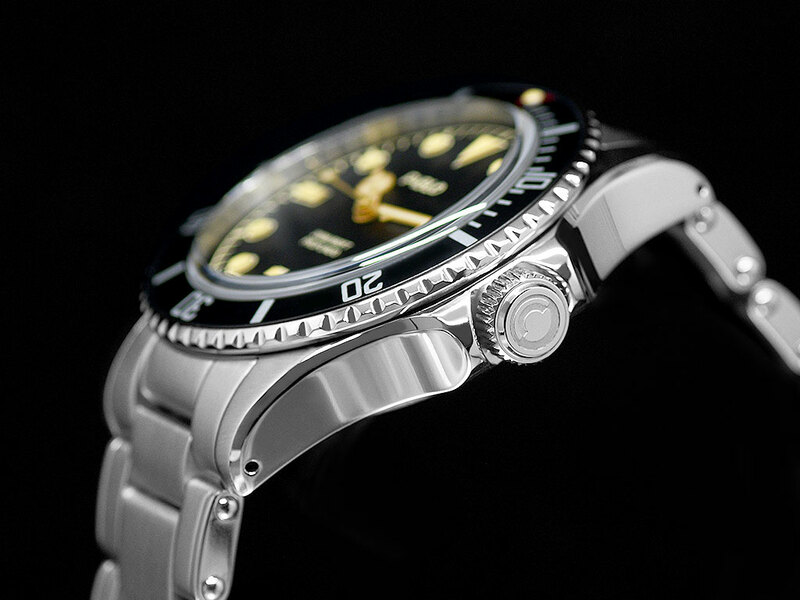 Both the crown and case back have high-quality gaskets providing 200 meters of water-resistance. 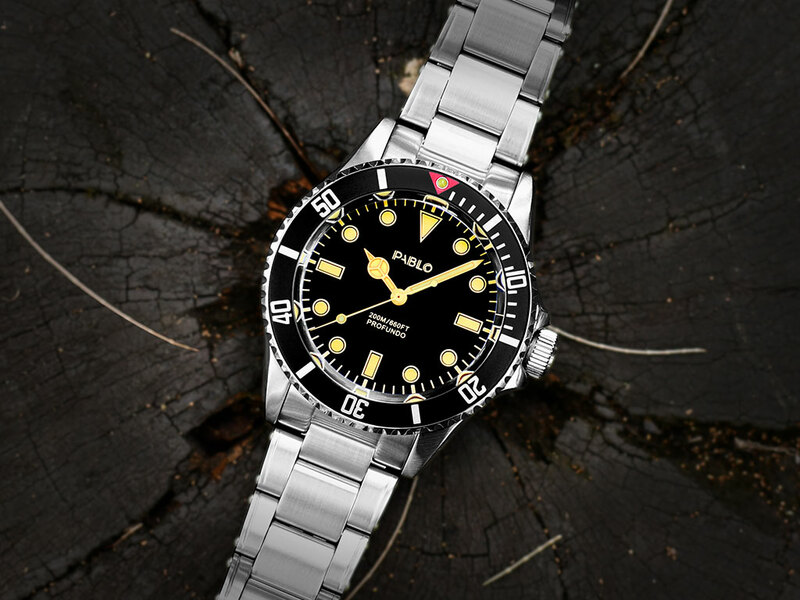 Another retro feature of the VB-1 is its drilled lug holes that allow one to easily remove and replace its strap or switch between bracelets. Its case-back features Pablo Profundo with the serial number of each piece produced a with all the other details on the circumference. The dial of the VB-1 is protected by an old school, box-shaped Sapphire crystal with anti-reflective coating underneath to enhance legibility. 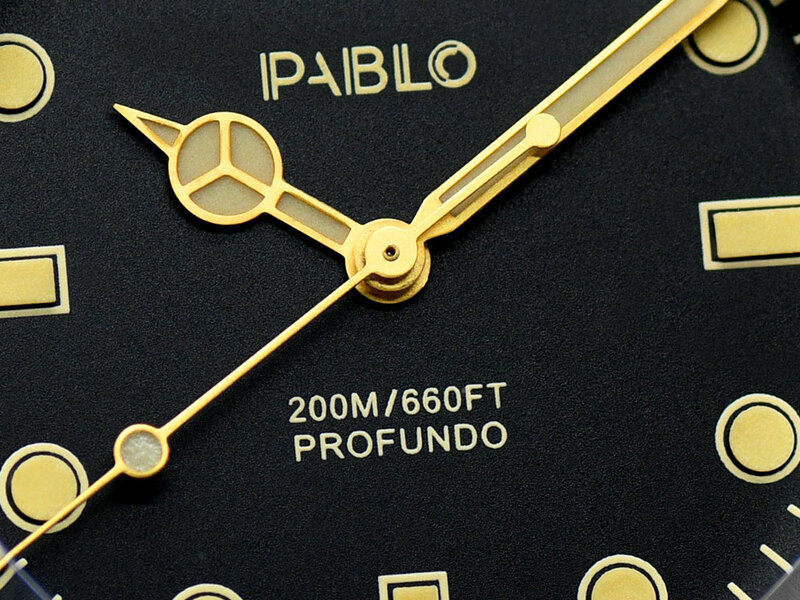 Underneath, one will find the Profundo VB-1 featuring an iconic matte black dial with an outer closed minute track for minute indications, paired with 3D raised hour markers. The markers and minute track are in a caramel vintage color that mimics the aging process found on today’s vintage watches while C3 SuperLumiNova keeps things bright in the dark. 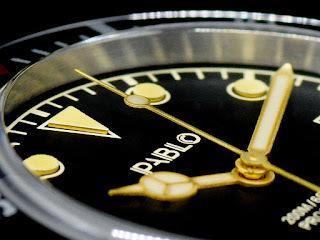 A classic black aluminum bezel is another nod to the past, again with a caramel vintage colored pearl to match the dial while a red triangle at 12 is completes the look. Powering this new VB-1 is the established Swiss ETA 2824-2 Elabore automatic movement, featuring 25 jewels and a beat-rate of 28,800bph, and 40hrs of power reserve. 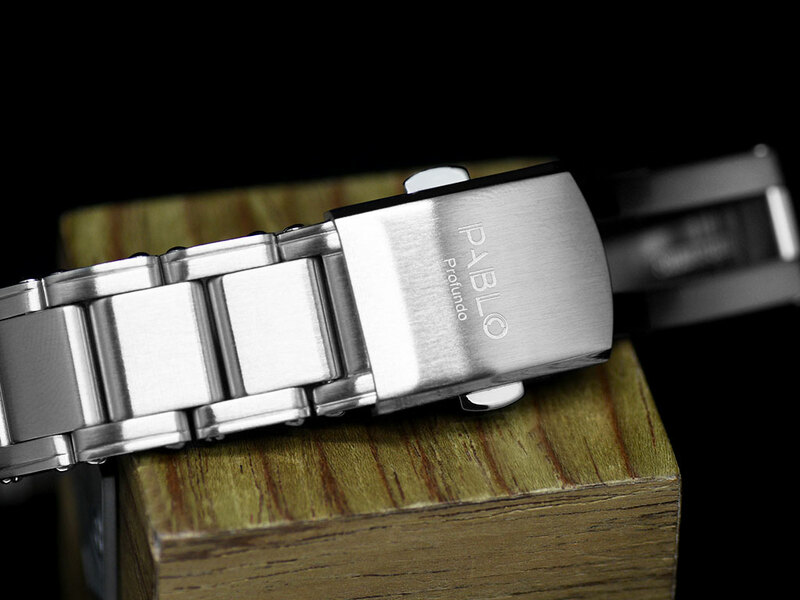 Finally the VB-1 come son a cool, vintage-inspired 316L steel bracelet (oyster-style) with riveted sides which has a highly tapered profile of 20mm to 16mm. 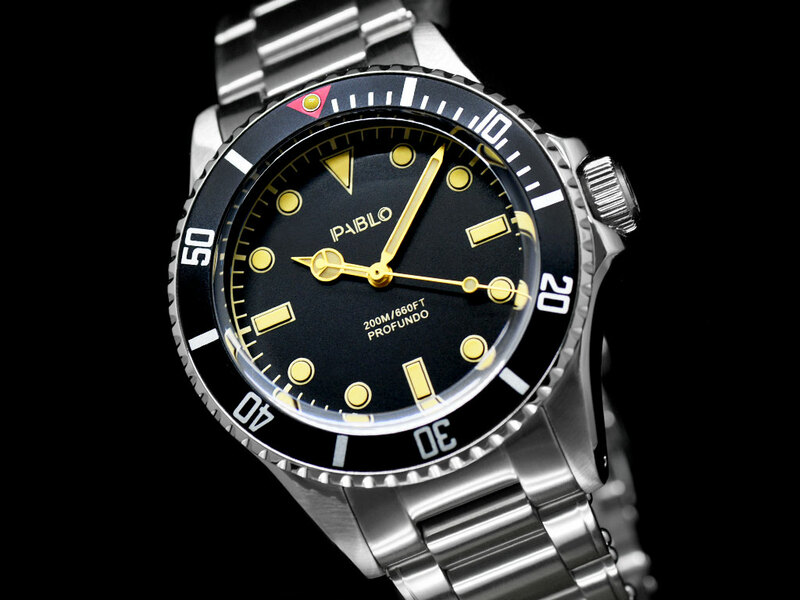 The new PABLO Profundo VB-1 is exclusively available from GNOMON WATCHES priced 520USD.